There’s nothing particularly remarkable about spotting wildlife in the Don Valley, but wildlife in the middle of the Don Valley Parkway is another matter entirely. 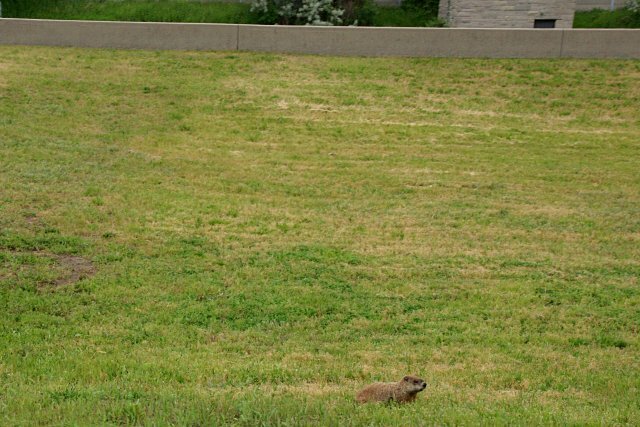 Most animals shy away from traffic and roads, but this solitary groundhog took up residence south of Eglinton Avenue in the highway median between the north- and southbound lanes of the Parkway several months ago. It’s frequently visible from the northbound lanes during the afternoon and evening, and has been spotted munching on the flowers planted in the median, scouting out the grassy field, and even sleeping on top of the concrete barrier beside the southbound lanes. 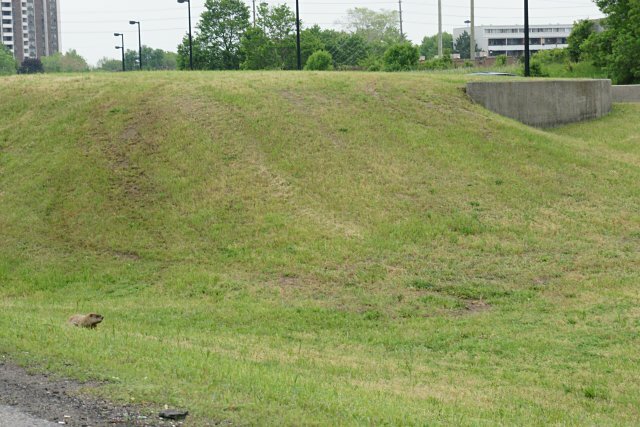 Although living in a highway median may seem less than an ideal life, our fair groundhog has a nice patch of land to itself, more food than it can eat, and freedom from most predators—including foxes and coyotes—that roam quieter parts of the Don Valley. We’re not entirely sure how or when the highway ‘hog first arrived at its isolated home, but we hope that it doesn’t try a suicidal escape across three lanes of high-speed traffic any time soon. Thanks to reader Chris Haromy for the tip.